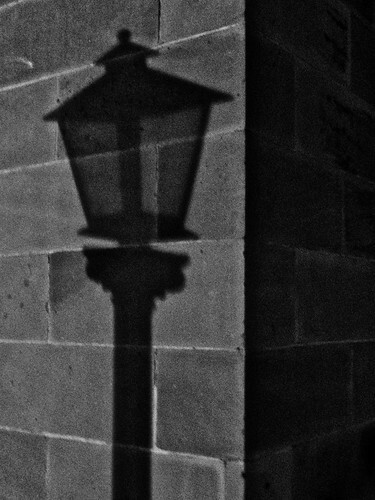 ShadowLamp a photo by BaboMike on Flickr. Aw, todays photo makes me sad. Well, not the photo from today. This I quite like. High contrast, simple image, nice shadows. No, its the photo’s of pudding the cat on the memory card. Poor little thing. Oh well. Today. Crazy, busy, fun, insane. So many things to do, running out of time. The web site I’m working on is coming good, if I can dedicate a few solid hours to it I should be virtually done. Assuming that the change requests stop of course. Added to that is the huge massive pallet of printers I have to do something with in the morning before I get in trouble with the chaps in dispatch downstairs. Its 8 large colour laser printers I need to get into an old office building 20 mins up the road. And I need to do it before another meeting at 11am. Should be entertaining for sure. Now? xbox beckons with its shooty killy blowyuppy stuff.